Since relocating from Victoria’s far South-West Kashmere Club have been making a big mark on the Melbourne’s live music scene. The dual-fronted three-piece spent a hectic 2012 performing across regional Victoria and the stages of iconic venues such as Cherry Bar, The Espy and the Northcote Social Club alongside acts like Bonjah and Stonefield. Already, 2013 has seen the band join Pez, The Cat Empire, Ash Grunwald and Bluejuice at February’s St Kilda Festival, with the Live n Local stage reaching capacity half an hour before their set. 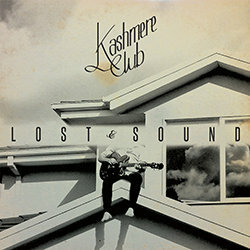 Kashmere Club embrace flamboyant guitar playing backed by a huge 70s inspired rhythm section. Their unique folk-inspired lyrics are delivered with soaring harmonies; a recipe which has earned attention from fans and media alike. The 'Lost & Sound' E.P. is a collection of 5 tracks spanning from soulful bluesy ballads to militant, and pounding hard-rock anthems. Produced by Chris Cheney of The Living End and mixed by Woody Annison (Children Collide, Hunting Grounds) the process of recording these tracks has resulted in a concentrated and fiery snippet of the trio at it’s best. A charging, anthemic track with military beat and soaring melodic vocal lines.